GET the lowdown on Sunday's OFC Champions League semi-final first leg clash as Auckland City FC take on Team Wellington at David Farrington Park. Sunday's match will be the 48th meeting between the sides in all competitions. 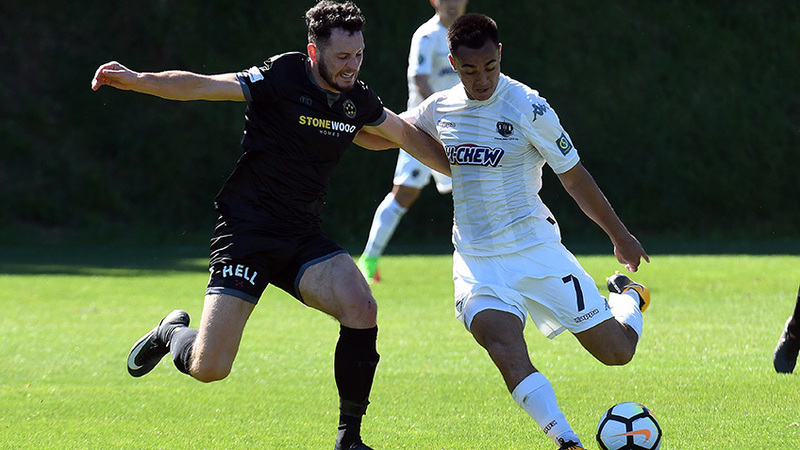 Team Wellington's 1-0 defeat to Auckland City FC in the ISPS Handa Premiership grand final on 1 April 2018 ended an 11 match unbeaten run for TeeDubs. Team Wellington's last defeat at home in any competition was on 22 October 2017 when Eastern Suburbs AFC defeated them 3-1 at David Farrington Park. Auckland City FC has kept 10 consecutive clean sheets in the OFC Champions League dating back to 15 March 2017 when they defeated Lae City Dwellers 2-0 at Centre Park, Mangere. The Navy Blues have now gone 953 minutes without conceding a goal in the OFC Champions League with the last player to score against Auckland City FC, James Naka, when he scored in the 37th minute of Western United's 2-1 defeat at Centre Park, Mangere, on 11 March 2017. Enaut Zubikarai has kept goal for 908 minutes of this run, Danyon Drake played 45 minutes of the run when he came on as a substitute in the 11-0 win over Malampa Revivors on 18 March 2017. The Navy Blues have now gone 918 minutes without conceding a goal in the ISPS Handa Premiership with the last player to score against Auckland City FC, Ben Wade, when he scored in the 72nd minute of the 1-1 draw with Southern United at Kiwitea Street, on January 13, 2018. Enaut Zubikarai has kept goal for the entire 918 minutes of this run. Auckland City FC have gone 14 matches without conceding a goal in all competitions for a total of 1,260 minutes. Auckland City FC is undefeated in 23 OFC Champions League matches dating back to 3 May 2014 when AS Pirae defeated the Navy Blues 2-1 in the semi-final, 2nd Leg, clash at Stade Pater, Tahiti. The run has lasted 3 years, 11 months and 13 days (1,444 days total). Auckland City FC's longest undefeated run in the OFC Champions League is 27 matches. That run started with a 1-0 win over AS Manu Ura on 28 March 2008 and ended on 31 March 2012 when Amicale defeated Auckland City FC 1-0 in Port Vila in a group stage match. The run lasted 4 years and 3 days (1,464 days total).